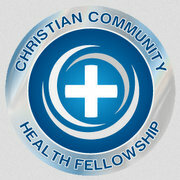 GRMCCF was formed to encourage physicians and others in associated disciplines to grow closer in their relationship with God and His Son Jesus in the midst of the demanding pressures of professional life, by gathering regularly in fellowship and promoting commitment to a local church while in active practice. Through offering times together with like-minded colleagues and students, hosting stimulating speakers, and presenting opportunities for missions experience, both domestic and overseas, we seek to equip our members to share their faith with unbelievers and inspire them with a desire to serve others with generosity. We also seek to foster cogent Christian thinking in our discussion of ethics, medicine and other relevant issues, and clearly present a worldview led by the Holy Spirit and filled with godly compassion. All this we do in the name of our Lord and Savior, Jesus Christ. In the divine inspiration, integrity and final authority of the Bible as the Word of God. In the unique Deity of our Lord Jesus Christ. In the representative and substitutionary sacrificial death of our Lord Jesus as the necessary atonement for our sins. In the presence and power of the Holy Spirit in the work of regeneration.